The Spanish linking rule of Spanish grammar is known as enlace or encadenamiento. It refers to the rule in the Spanish language where each word sounds and seems like it is running into the next one and blending in. That means that there are no exact boundaries, at least phonetically, in the words used in the Spanish language. This is the best way of explaining the phenomena whereby the phonetic boundaries in the Spanish words are eliminated in three different manners and on words blending into another to make it sound more musical and pleasing to the ear. The first rule applies when you are referring to the use of a vowel with another vowel. 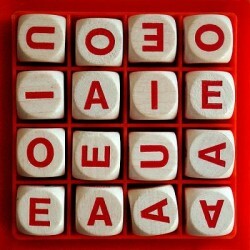 This occurs when a word which ends with the vowel is followed by a word that begins with a similar vowel. These are both combined to create a slightly longer sound which is an elongated version of the combination of two of the same vowels falling next to each other. A good example in Spanish for this would be ‘la escuela abra la puerta a las siete’, where ‘escuela abra’ would be pronounced as ‘escue la bra’ and ‘puerta a la’ would be pronounced as ‘puer ta la’ thereby eliminating two individual phonetics for the same vowel. Following the same rules using the same vowels, when any word end with a vowel and is followed with the word that begins with another vowel then both are combined and diphthong in a single syllable. For example ‘tengo una idea interesante‘ becomes ‘ten gou nai deain te re san te’. The second rule pertains to the use of a consonant with another consonant. That means that any word which ends with a consonant and is followed by another word beginning with the same consonant these are both combined to make a phonetically elongated sound. For example ‘los señores son nerviosos’ would be pronounced as ‘lo se ño re so ner vio sos’. The third rule pertains to the combination of a consonant with the vowel. In this case if the word ends with a consonant but is followed by another word which starts with a vowel then in this case the sound of the consonant which falls at the end of the first word is automatically transferred to the start of the second word. For example ‘un actor es un artista‘ will be pronounced as ‘u nac to re su nar ti sta’. It is very important to note that if a second word begins with the letter H then the word is pronounced without acknowledging the existence of the letter H. Therefore the above rules will still be applicable in the presence of the letter H.
The reason for this rule is basically because in the Spanish language there is no rule for syllables which start with vowels as well as end with consonants. Therefore the final consonant is always attached to the word following it. For this reason the majority of the syllables start with the consonant sound and end with the sound of a vowel with the use of the Spanish linking vowel rules or the elance rules. An overall result of utilizing the Spanish linking vowel rules is that the Spanish language becomes very fluid and musical to the ear.